You are at:Home»Opinion»Chinese sorting robots score an internet hit … but are they doing a good job? A video of a Chinese sorting center proved an unlikely viral hit last week, but is this "army of little orange robots" improving efficiency? Chinese sorting robots score an internet hit … but are they doing a good job? A video of a sorting center in Eastern China proved an unlikely internet hit last week. The viral video, of the inside of an Shentong (STO) Express facility, features an “army of little orange robots” sorting parcels. The video, which was originally posted by Chinese news outlet People’s Daily, was picked up by the South China Morning Post and shared by internet technology news sites across the world. According to reports, the video features robots supplied by Chinese firm Hikvision. The 19cm tall robots are capable of sorting up to 200,000 packages a day and have improved efficiency by around 30% and improved sorting accuracy. Hikvision says that its intelligent sorting robot can run continuously for eight hours via a lithium-ion battery and takes 1.5 hours to fully charge. It travels at speeds of up to 3m/s and can carry parcels that weigh up to 5kg. However, some experts have cast doubt on the efficiency and effectiveness of the robotic system shown in the video, which seems to take up a large space with many of the robots running without parcels. Human workers are also still used within the process, to move parcels off the conveyor belts. The sorting rates and efficiency savings claimed for the Chinese robot system also compare poorly with more “conventional” methods of parcel sortation. The UPS sorting center in this video below sorts 400,000 parcels every hour. Beumer Group has supplied parcel sorting systems to leading postal companies throughout the world for decades. It offers a range of line sorters and tilt-tray and cross-belt sorters that integrate conveyors, scanners, cameras and complex control software to automate sorting as much possible. Lars Horsboel, sales director at Crisplant, part of the Beumer Group, says that from the limited view of the process available from the video, a loop sorter solution would be more effective: “We have seen a few of these lately and the idea of using robots is no stranger to us, but not in a layout as seen in this video. Other examples of sorting robots in warehouses include at Amazon and Ocado facilities. Horsboel says that the constant development of robotics means a good solution will eventually appear, but that it will likely not be suitable for high capacity parcel sorting. There is little doubt that the onward march of robotics technology development will see increasing numbers of applications. Some of the robots may even be cute and orange. But new applications should still be treated with a healthy dose of cynicism. 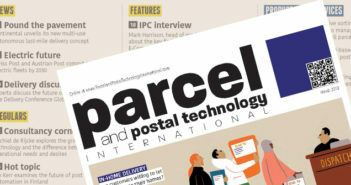 Technologies for some applications, such as parcel sorting, have developed comfortably in their niche over many years. It will take something very innovative indeed for them to be disrupted.